The elfish (READ: troll) president of Iraq spoke to a highly educated crowd at Columbia University yesterday. Rather than focus on this dishonest academic pretender's propaganda message the wingnuts in Republican Party want to punish Columbia University. 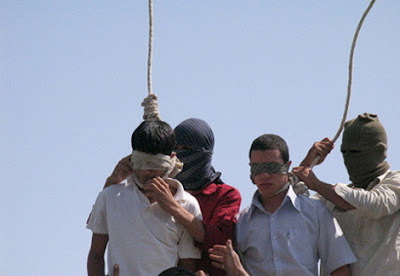 Not only is Iranian President Mahmoud Ahmadinejad advocating that science revisit the Holocaust (after denying that the "historical event" ever happened), the provocateur blandly stated yesterday that Iran does not have homosexuals. Did you hear the student laughing and booing? Pendejo!! !